Did you play video games when you were a child? I know I did. I still remember having a Coleco Vision and Atari systems to start. We eventually bought a Commodore 64 Computer. While I do not recall my mother playing the games with us, my father did. He would help us to figure out new games. One of the favorites on our new computer was Load Runner. This was a puzzle like game with a character that really made you think. We would work together and compete to see who could pass and figure out levels. As my brother and I grew up, this continued with other gaming systems and better computers and games. Of course, these days we have several gaming devices and most recently added the Samsung Galaxy Tab 2 into the mix thanks to being a Verizon Lifestyle Blogger. The boys loved the one we received so much, they split the cost of a second one using gift card money they had saved up. As a teacher, you may think that I am not a fan of gaming. You would be wrong. I think they have a place for children and parents that enjoy them. In fact, many of them are educational and require the use problem solving strategies. 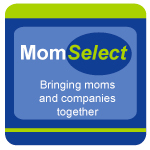 They also provide a great way for families to work together, talk, and bond. 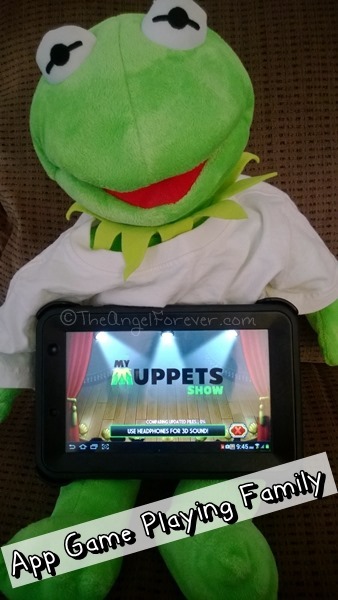 The case in point this summer would be the My Muppets Show app that is available for Android and Apple devices. All three of the boys fell head over heels in love with this. I was haunted by the Muppets music often coming from two Galaxy Tablets. TechyDad and I boys would chat up what they were accomplishing. The boys would assist each other earning new Muppets. It was not simply TechyDad telling them, they all helped each other. I actually hate to admit it, I felt a bit left out of the conversations because I had not really kept up with using the app on my Android phone. So why am I writing about this? Well yesterday Monia Vila, The Online Mom, shared a post that she had written on The Huffington Post. Can Playing Video Games Make You a Better Parent? was inspired by the recent TEDTalk by Jane McGonigal. Thanks to Monica’s article, I spent the time and listened to the powerful words from McGonigal. As a parent and educator, I now want to use my extra minutes that she notes to connect more with my boys. We already read together, play board games, and go to places near and far as a family, but I want more. I want to be able to chat with them and understand the gaming apps that they adore. I want to geek out with them. I do not look at gaming as a waste of time. It is something we can do together for years to come. I take this up a notch from what Monica wrote about in her article and suggest that educators, including teachers, get in tune with games and things that their students are playing. Not only can you use these as ways to connect with the kids in your classroom, but you can expand on the apps/games for use in your teaching for a more authentic experience. Fess up, do you use gaming as a way to connect with your family? If you are a teacher, have you ever made lesson plans that reach out to the gamers in your class? I would love to hear your thoughts on the subject. Oh and be sure to head over to read Monica’s post where she also has the TEDTalk with Jane McGonigal – it is worth reading and watching. No doubt it will leave your brain racing a mile a minute trying to figure out how to utilize this information in your life. I know that in our house gaming is not a waste of time, but something that we use to keep everyone problem solving, talking, and focused. Oh and one other item, it’s fun and helps to relieve stress from every day life that does happen. Disclosure: As a member of the Verizon Lifestyle Bloggers, I received a Samsung Galaxy Tab 2 to test out and share ways that I use this in my life. There was no other compensation. I am a long time Verizon customer, and all opinions are my own. 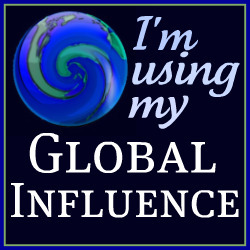 Beth – this is such a great post – especially since you are a teacher and I do believe that the better way is to embrace the platforms that our kids love and harness their positive influences to minimize the negatives such as over use. Love how you ask us to “fess up” – LOL so true!!! many of us parents would not admit that we love playing video games especially now that we don’t have to deal with the Commodore 64!! Beth, as the parent of a young adult on the spectrum I can tell you embracing technology as parent of parenting is the way to go. Gaming provides many opportunities to teach essential social skills but it’s more important function is it offers us a way to connect with our kids on a playing field where they are expert. All kids need to feel a sense of skill mastery & have the opportunity to teach others skills, kids on the spectrum need that feeling even more IMHO.